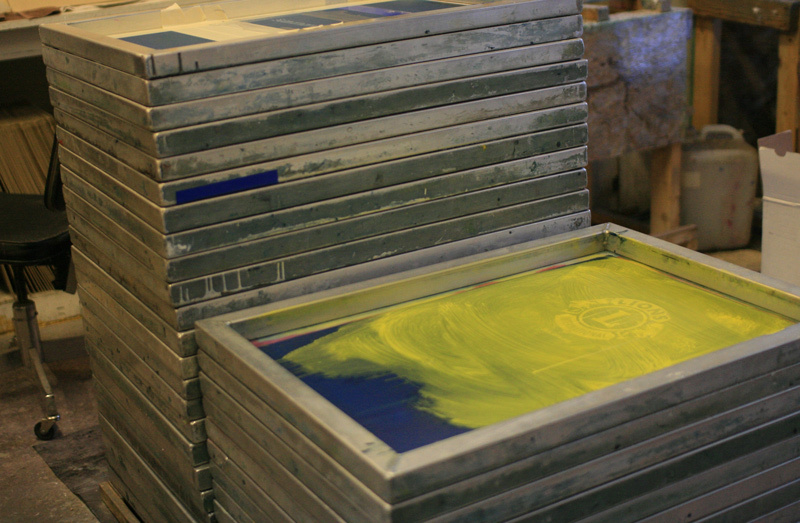 Screen printing is a very detail-oriented process and at Chaos Ink we have it down to a science. 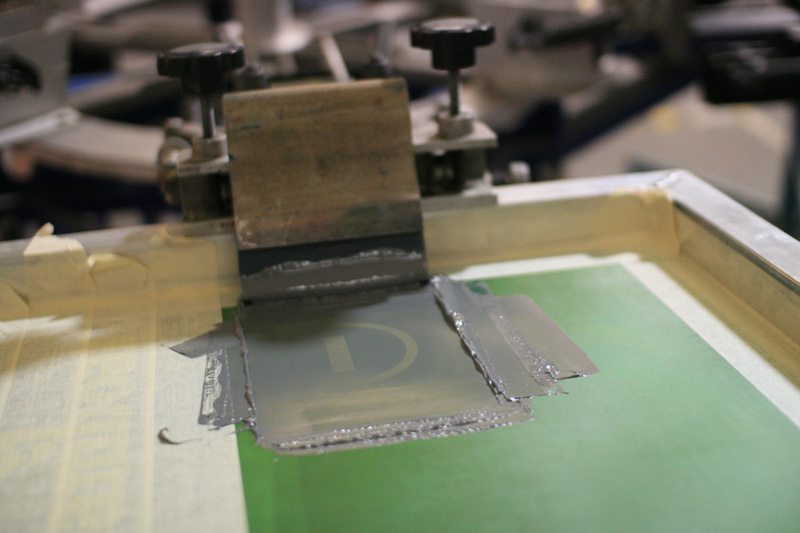 Even printing a simple T-shirt is a multi-step process that takes skill and craftsmanship if one wants to do it right. We have more than 15 years experience producing professional screen-printed apparel and we handle all of the difficult parts of screen printing so you don't have to. It's an ancient process that also employes some cutting-edge technology -- a nice mix of the old and the new that we enjoy. It's how we provide our customers with custom-printed T-shirts and hooded sweatshirts. Most of the T-shirts in the world are screen-printed. To be sure, there are other ways to produce printed apparel, including inkjet printers that apply images to garments. But screen printing, the process of using a squeegee to force ink through a screen stencil onto fabric, is the most efficient system the world has ever known for producing printed apparel. It's how hundreds of millions of T-shirts are printed each year, and we do our part by turning out about 50,000 or so. The process is age-old, and even with modern improvements, it still requires a basic, hands-on workflow. First, a screen (much like a window screen, but with finer, stronger mesh) is coated with a light-sensitive gel, called emulsion. Next, a black-and-white image on transparent paper or film is placed in front of the screen while very bright light shines through both. The film creates a shadow on the screen, exposing the emulsion to light in some places. The spots where the light reaches the emulsion harden and cure, but the parts behind the artwork film do not harden. After the screen is washed, the cured parts remain, leaving behind a stencil where the artwork was. 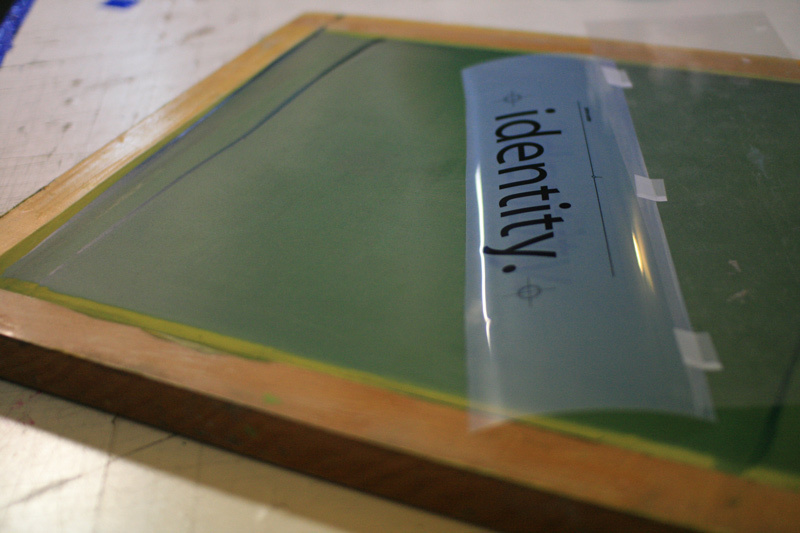 Then, a rubber squeegee is used to push ink through the stencil onto the substrate, such as T-shirts, or paper or vinyl or metal, wood, and any number of other materials. Now, for the sake of simplicity, we left out a couple steps. For instance, the process above only gives you a one-color print. One ink. One screen. One color. Repeat the process for each color you want on a T-shirt. Make sure the screens are lined up so that the colors land adjacent to one another correctly on the design. Make sure the squeegee pressure is enough to force the ink through the stencil but not so much that the ink squishes out and distorts the image. There are a thousand ways to mess up a T-shirt, and only a handful to do it right. We've spent a decade finding ways to economically produce high-quality printwear using this system that is modern and ancient at the same time.